I'm beginning to think that the trend of holding awards shows on Sunday evenings is the result of a deal between Hollywood and coffee companies, brokered to double the sales of of the latter when everyone has to stay up all night to see all the award winners. 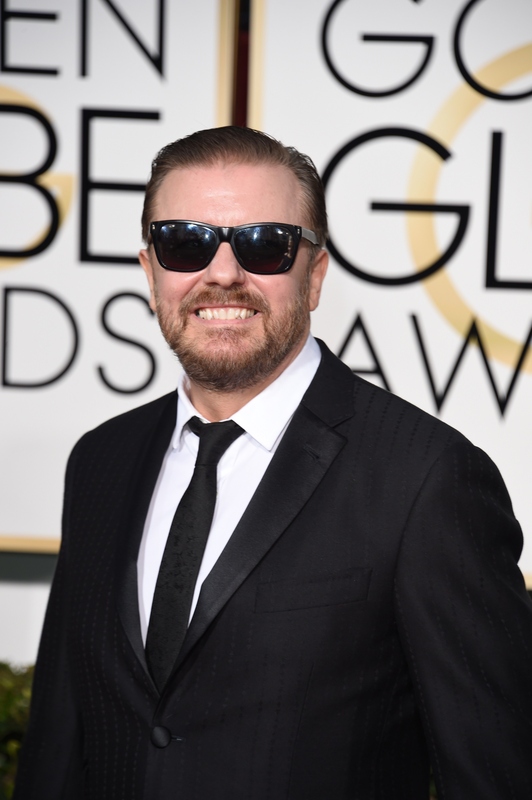 The 2016 Golden Globes ceremony will be broadcast this Sunday on NBC, beginning at 8 p.m. ET. With so many awards for television and film to be distributed and so many Ricky Gervais jokes to be made at the expense of the nominees, this broadcast could go on for quite a while. How long are the Golden Globes? You shouldn't make any other plans for the night and definitely need to allot for a caffeine run in your Monday morning commute, because the broadcast is scheduled to run for at least three hours — and that's not even counting the preceding red carpet. And if you're planning to DVR the Golden Globes, you may want to pad in an extra 10 to 15 minutes in case the show goes over. All it takes is a few winners ignoring the play-off music cue or a presenter having a teleprompter problem to send the awards ceremony into overtime. Personally, my favorite part of any major awards broadcast is when the producers realize how behind they really are and start whipping through the categories like everyone there just realized they left their curling irons plugged in at home. The final run-time for the Globes remains to be seen, but the Hollywood Foreign Press will own your eyes for an absolute minimum of three hours on Sunday. A lot can happen in 180 minutes. By my calculations, the 2016 Golden Globes will be long enough to support the following activities. I just like the idea of The Revenant star smiling, clapping, and laughing politely through the Globes, all the while hearing, "And the Oscar goes to... Leonardo DiCaprio!" over and over again in his head. Someday, Mr. DiCaprio. Someday. Shocker: Best Director is a dude-dominated field again this year. Hollywood's diversity problem isn't limited to accolades. It goes back to the depressingly uneven proportion of male-directed movies to female. Still, it would have been great to see Sarah Gavron here for Suffragette. The Game Of Thrones author recently announced that the next book in the series won't be ready for publishing before Season 6 of the show premieres. If his fans could vote on the writer's Sunday evening activity, they'd probably prefer he get some pages done rather than tune in to see if GOT's screen adaptation wins Best Television Series, Drama at the Globes for the first time. Mozart In The Jungle? Casual? If you haven't gotten around to marathoning these shows vying for the Best Television Series, Comedy award, you're not alone. Mute the Golden Globes during that slow bit at the middle and stream a few episodes to catch up on the zeitgeist. Rejoice! Internet Boyfriend Oscar Isaac is nominated for a Golden Globe. The nod isn't for his The Force Awakens character Poe Dameron, the dreamy good guy who woke the world up to Isaac's charm. He's nominated for Best Performance by an Actor in a Limited Series or a Motion Picture Made for Television for the HBO miniseries Show Me A Hero. Show support for your crush by doing a little crafting while you cheer him on. I promise you it's only the tiniest bit creepy. The Golden Globes only come around once a year, so these three hours will be time well spent.